forest.fi asked the three biggest Finnish forest industry companies what the year 2018 brought along. The common denominators of last year’s launches from Metsä Group, Stora Enso and UPM are environmental friendliness and sustainability. 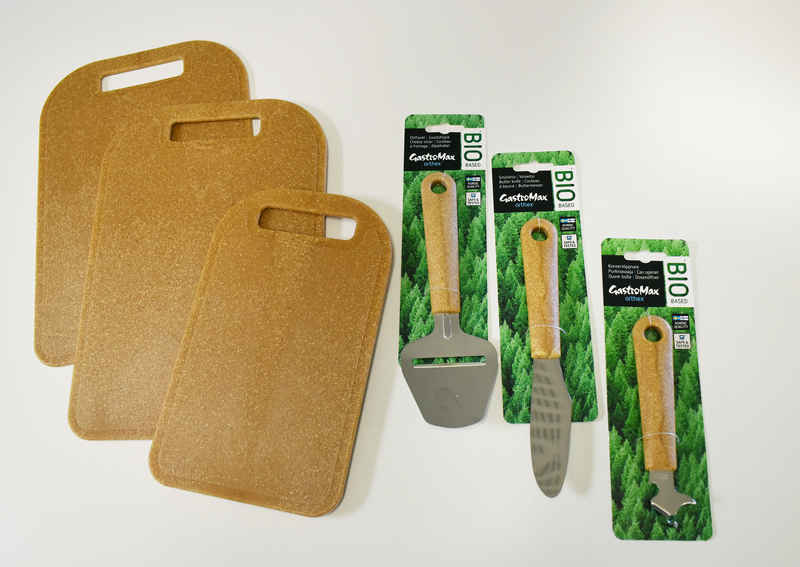 Finnish forestry companies introduced several consumer products and packaging solutions where fossil raw materials have been replaced by bio-based materials. 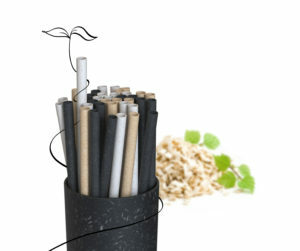 Stora Enso contributes to solving the global plastics waste problem with a drinking straw. With the Finnish start-up company Sulapac, the company is launching a straw made of a biocomposite, which decomposes in a few months after entering the sea. According to Suvi Haimi, Managing Director of Sulapac, plastic straws are manufactured and used up to billions per week globally. The Finnish bio-straw should be on the market in the first half of 2019. “Consumer demand is strongly driven by environmental awareness. Our customers are looking for help in replacing non-renewable materials. Various solutions based on biocomposites, such as renewable caps, twist-ties and straws, bring added value to our customers,” said Hannu Kasurinen, Head of Finance, Stragevy and IT at Stora Enso’s Renewable Packaging Division, in connection with the announcement of the innovation cooperation. Bio-Straw also offers a solution to the European Union’s objectives of replacing certain plastics products with others made of environmentally friendly materials. While waiting for the drinking straws, climate-smart consumers can already buy an eco-friendlier cheese slicer or cutting board made by Orthex from Stora Enso’s biocomposite. The new kitchen utensils by this company known for practical plastics products consist of 98% bio-based material, creating new value from such things as sawdust, a side stream from the sawmill industry. 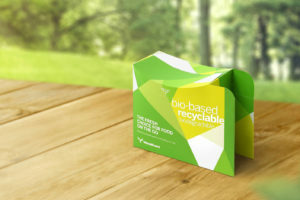 Metsä Board, part of Metsä Group, has developed paperboard packages that require less plastic. 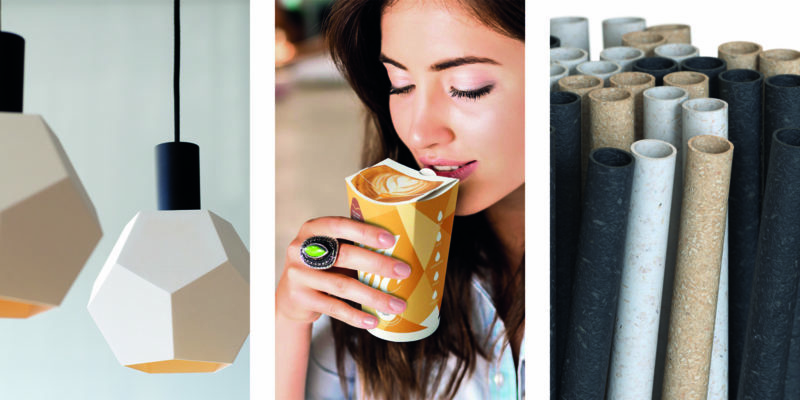 The paperboard producer organized an international packaging design competition, in which the winner of the e-commerce category was packaging designer Iiro Numminen. In his solution, an internal element of corrugated cardboard ensures that the product does not move about during transport – with no need for bubble wrap. Another packaging solution designed for Metsä Board was awarded in the internationally renowned Red Dot design competition. The Lidloc paperboard cup does not need a separate plastic lid. 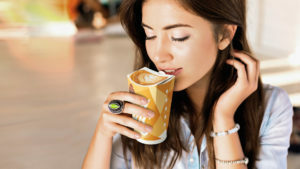 The patented Lidloc design is based on an extension to a standard cup structure that folds and locks to make an integrated lid. The solution is currently being tested by Metsä Board’s customers. New alternatives to greaseproof food packaging are also entering the market, and they do not require fossil-based barriers even on the inside. One of these paperboards is the Eco-barrier paperboard introduced by Metsä Board in 2018. The inner layer of the paperboard developed especially for takeaway food has a special barrier treatment that makes the packaging recyclable and biodegradable. UPM has developed a biocomposite for 3D printing that combines the characteristics of cellulose fibres and native PLA plastic. Products made of the material are non-toxic and odourless. They can be worked in the same way as wood, making it possible to sand and paint them, for example. The UPM Formi 3D printing material is of high quality and is typically used in architectural design and the production of design items. It can be purchased from online retailers and has been used for loudspeakers and in car manufacturing, among others. 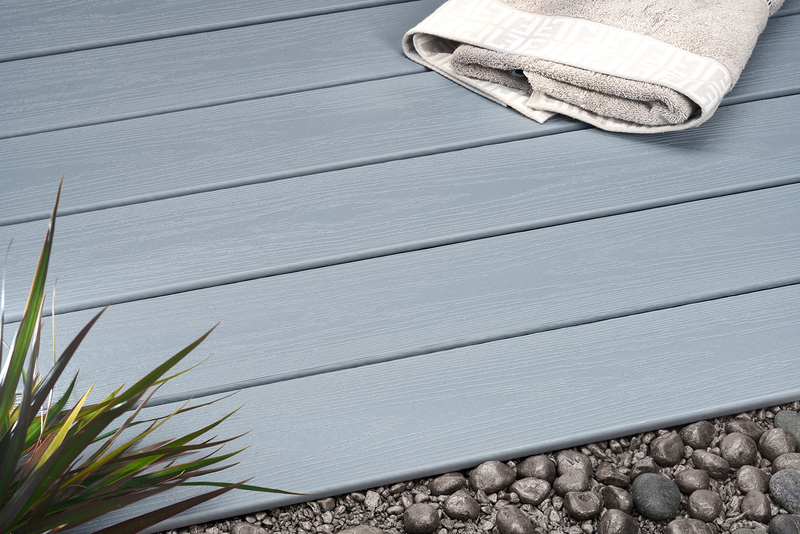 For the construction industry, UPM offers decking boards made of biocomposite. In 2018, the collection was complemented with Profi Piazza, advertised as stain resistant and colourfast. It contains 75% recycled materials, namely recycled plastics and paper and plastics offcuts from the manufacturing of self-adhesive labels. The biocomposite deck also saves materials, time and energy thanks to its installation system: the entire deck can be built without drilling and screws. Metsä Wood, part of Metsä Group, launched an open platform for sharing knowledge and innovations in modular wood construction. The purpose of the Open Source Wood Initiative is to increase the use of prefabricated wood elements in construction. The platform opensourcewood.com is accessible to anyone free of charge. Metsä Wood also awards innovative element and modular designs shared on the platform and based on Metsä Wood’s laminated veneer lumber. One of the awarded modular building systems is the Cliphut designed by Thomaz Vieira, Tomas Mena and Maria Wilkens at a German University of Applied Sciences. In the Cliphut system building elements are linked together with a special mechanism. Glues and paints can also be produced in a more environmentally friendly way from wood raw material. Lignin acts as support in wood material and is derived as a sidestream of pulp production and traditionally burned for energy. The energy needs of pulp mills having diminished, there is enough lignin for other uses. For example, it can replace oil-based phenols in glues, and it is used by UPM in the manufacturing of plywood. Stora Enso has also developed a lignin bio-product of its own, called Lineo. 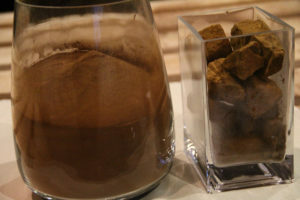 When lignin is separated from softwood pulp, the result is a dry, brown powder which, according to the company, will find a future use as the raw material for carbon fibre in aircraft, cars and windmills. “Being bio-based, Lineo is an excellent alternative for companies that don’t want to use oil-based products. 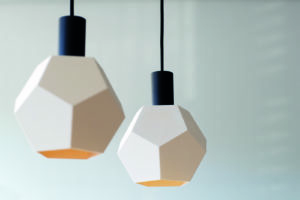 We believe that everything made of fossil raw materials today can be made of wood tomorrow,” Markus Mannström, Director of Stora Enso’s Biomaterials Division, said at the launch of Lineo.